Back in 2007, the European Council agreed to pursue an aggressive effort to support the demonstration of carbon capture and storage (CCS). in mid-2013, the EU is still without any new commercial–scale CCS projects under construction. Two different funding mechanisms have failed to secure projects able to take positive final investment decisions. The previous momentum that favoured CCS has been lost. But why has this happened, and what can be done about it? 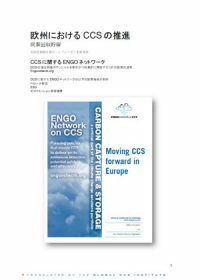 This paper looks at why CCS still matters for Europe, and how a more positive outlook can be encouraged.